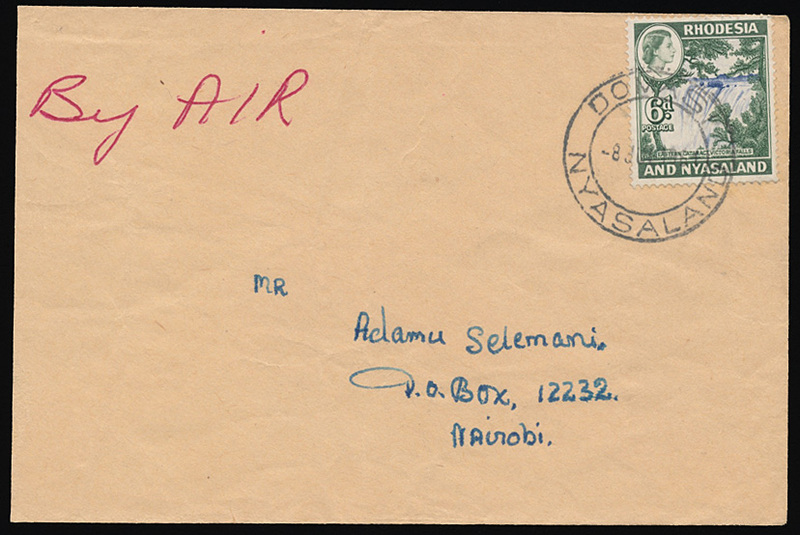 1961 (8th June) envelope addressed airmail to Nairobi. Bearing definitive 6d ultramarine and deep myrtle-green (SG 24) tied by a DOMASI / NYASALAND (8 Jun) double circle datestamp. Trimmed at right.